PANDORA: hand-finished and contemporary jewellery at affordable prices. PANDORA designs, manufactures and markets jewellery made from high-quality materials. Inspiring women to embrace their individuality and express their personal style, PANDORA’s stylish and feminine jewellery captures the unforgettable moments and personal values in life. Looking for a unique gift for a loved one? Or a timeless piece of jewellery to mark a special occasion? 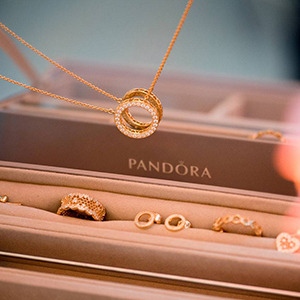 Visit PANDORA’s Exeter store to browse through their beautiful collection of bracelets, rings, necklaces, earrings, charms and more.